Meeting With Your Colorado DUI- DWAI-DUID Lawyer For The First Time – means having a hundred questions for your lawyer. The lawyer – however – will want to take control of the meeting early to make certain the exchange of information with the client – you – is concise, clear, and factual. What Happens At The First Interview With Your DUI Defense Lawyer? (2) Explain The Law – the charges, possible penalties, plea bargaining, and what happens at trial. (3) Start Constructing Your DUI Defense – formulate the foundations of how best to defend this case and these facts. The need to feel at ease with both the process and the lawyer along with a close examination of the evidence as recalled by the client – will be the focus of the meeting. What follows are just some of the questions your Colorado DUI lawyer should be asking you at the first meeting.. Reviewing them now and jotting down some of the answers will help you recall the investigation of your DUI case. I. What Was Your Driving Like Before You Were Stopped By Law Enforcement? 1. Why were you stopped? What was the legal basis given for the stop? 2. What words did the police officer use when you first made contact? 3. 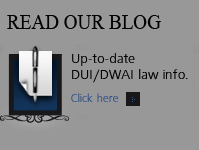 Were you charged with crimes in addition to the DUI – DWAI – or DUID? 4. Recall your driving – were there any “innocent” explanations for the driving that led to the stop of your vehicle? II. What Happened AFTER The Physical Stopping Of Your Vehicle? 1. When you saw the lights or heard the siren – where did you choose to stop – why? Did you stop immediately or did you drive some distance before you stopped – and why? 2. Can you recall the lighting at the location of the stop? What was the surface like – the traffic in the area at the time? 3. Were you asked how much you had to drink that night? Was there a time frame for that drinking in the context of the question? Did you answer and if so – what did you say? 4. Were you ordered out of our car – how – and what words were used? Was a gun drawn or were threats made? 5. How did the officer phrase his request to get out of your car? 6. Did you use the car door – the roof – or anything else to assist you to get out of the car? Did you brace yourself before emerging? Did you lose your balance in any way? 7. Were you ever told – at any time – you could leave? 8. Describe the officer’s demeanor – was he polite – did he have backup all around him – how many other officers and squad cars were present? 10. Were there any independent witnesses that saw the basis for the stop? III. Were the Field Sobriety Tests (FST’s) Performed? 1. How were you asked to perform the field sobriety tests? Were you asked or were you told to do them? Were you told the FST’s were mandatory? Or were you told you could refuse to take them? 2. Were you asked about any health deficits or other disabilities before you started the tests if you took them? 3. Before each test – did the police officer carefully and clearly explain and or demonstrate the tests? .. Please write down everything you recall about those instructions. 4. Which FST’s did you actually perform? In what order? Did you ever stop – why did you stop – were you told to stop or did the officer instruct you to stop? 5. Describe the scene where the tests were performed? IV. What Happened At The Moment Of Your Arrest? 1. How and when did you know you were under arrest? 2. At the time of your arrest was there a search of your car? Did the police find anything in your car? 3. When did the police tell you and how did they tell you – if they did – you are under arrest? 4. At what point were you told you were under arrest? 5. Did the police officer place you in handcuffs? 6. Was there a video or audio tape created of the investigation that you noticed?..on the dash – on the officer- at the police headquarters? Were you booked and fingerprinted? 7. Were you Mirandized? At what point? How were you Mirandized? 8. Did you waive your Miranda rights and make a statement – or did you answer any questions after that point? 9. Did you request a lawyer? When? 10. At the time you were advised of the Colorado Express Consent Law – did you understand the advisement – how was it given (administered) to you? V. How Were You Feeling At The Time Of The DUI And The Arrest? 1. Were you under the influence of any prescribed medication at the time of the DUI investigation? Had you taken that medicine – and when? 2. If you have physical disabilities – did they impair you – if so how? Were those disabilities communicated to the police officer – and if so – how? 3. Do you have any hearing, balance – or hearing issues? Were those disabilities communicated to the police officer – and if so – how? 4. Do you have a personal history of having suffered a head injury – if so when – and what was the injury? 5. Have you had a history of GERD, heartburn, or breathing issues such as COPD? 6. Do you have a history of diabetes, blood or live disease or any other serious illness or physiological issues? 1. Did the officer watch you for the full 20 minutes of the required observation period? 2. Do you recall the steps taken in administering the test – Do you recall the instructions given to you and how many breath samples you provided? 3. When you blew into the machine – were you instructed on how to do so? Were you told that you blew enough – too much – etc? Did you have any trouble providing a breath sample? Why do you think that was? 4. Did the police officer administering the test interrupt the test at any time and seem to have trouble with the machine? 5. Were you told to hold your breath at any time before blowing? 6. Was there more than one machine present – was only one used – were the machines different? Writing down everything you remember as soon as possible as close to the time of the arrest is critical. This statement should be as “chronological” and as detailed as possible. The statement should start at least 5 hours before the stop and end several hours after you are released. The statement should address how much and what kind of food consumed, what type of alcohol and or drugs you may have consumed and over what period of time. 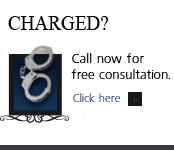 If you know your prior traffic and criminal record – related that in as much detail as possible to the police officer. A history of prior contact with law enforcement officers should include , any prior and PENDING motor vehicle cases and all other criminal convictions. The lawyer should also obtain an accurate height and weight at the time of the arrest. Were there any witnesses to our behavior at ANY time during the relevant hours of the case? Are they sympathetic to the defense theory – such as the way you acted or drove your vehicle that day or night? Meeting With Your Colorado DUI-DWAI-DUID Lawyer For The First Time – What Kind Of A Witness Will You Make At Trial? One of the most important – yet difficult assessments that begins at the first conference between lawyer and client is for the Colorado DUI lawyer to evaluate you as a witness at trial. This is not a beauty contest. 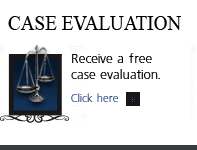 It turns on your ability to recall and relate the factual events of your case. There are typically 3 kinds of DUI witnesses. A DUI client that has one or more “black outs” for the evening in question is of little help in defending the case and will almost never testify. This is the middle ground where the DUI defendant has SOME recollection of the evening and may recall key events but that memory is inconsistent and fades in and out. Again – because they are subject to cross examination by the DA – the risks usually outweigh the benefits on the witness stand and they are also not called to testify. Clients with excellent memories of the incident make the best witnesses for a very important reason. The clarity of their memory assists in persuading the jury that they were not intoxicated at the time of their alleged DUI driving. Good memory and attention to detail is key to establishing the defense theory of the case that the defendant was safe to drive on the streets of Denver. How Will A Jury “See” You As You Testify? Finally – in this category is the assessment of HOW you will testify. Even Type 3 witnesses cannot project the kind of confidence and clarity necessary to convey their message to the jury. The lawyer’s experience in court is paramount in assisting the defendant to help overcome this potential deficit – practice – videotaping – and rehearsal are the keys here. On the other hand – a negative impression left with the jury at the end of the case can have the exact opposite effect intended. The question “what is your “fitness” for the stresses of a trial? must be asked at this point. Preparing for trial means not only preparing the accused for their testimony but also for the demands vigorous cross-examination by the DA. The elements of the crimes with which you have been charged. The burden of proof to establish those elements – beyond a reasonable doubt – to obtain a conviction. The process – with a clear understanding of the procedure – every step that must take place in the case. The ramifications of a conviction, how plea bargaining works and all options and alternatives with reference to the sentencing in the case. All of the possible defenses in the case. 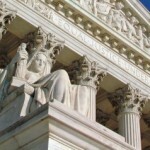 Potential civil liability – money damages that could result from a civil lawsuit. ALL of the consequences of a DUI conviction, – the maximum and minimum penalties set out in the law – which will depend on the level of blood alcohol level and the number and kind of prior alcohol related convictions the accused may have. All possible driver’s license revocations or suspensions. The financial impact of the DUI after the case is finally over – which may result in future increased insurance premiums or the costs of obtaining – or re-obtaining your driver’s license. ABOUT THE AUTHOR: H. Michael Steinberg – Email The Author hmichaelsteinberg@hmichaelsteinberg.com or call his office at 303-627-7777 during business hours – or call his cell if you cannot wait and need his immediate assistance -720-227-7777. Colorado Defense Lawyer H. Michael Steinberg provides solid criminal defenses for clients throughout the Front Range of Colorado – including the City and County courts of Adams County, Arapahoe County, City and County of Boulder, City and County of Broomfield, City and County of Denver, Douglas County, El Paso County – Colorado Springs, Gilpin County, Jefferson County, Larimer County, and Weld County,…. and all the other cities and counties of Colorado along the I-25 Corridor… and provides answers on questions regarding ..Meeting With Your Colorado DUI-DWAI-DUID Lawyer For The First Time.